a few weeks ago I was privileged to be a part of The Twelve Days of Christmas sewing series. I have had a lot of fun creating a new outfit for my daughter, something that she requested! My post was published on Suz's blog Sewpony, and I think it is time to 'bring it home'. Enjoy! Hi, my name is Jenya. I am a sewaholic and I blog over at While she was sleeping. Thank you for inviting me Suz and Laura. It is a huge privilege to be here today. The 12 Days of Christmas is such a fun series, don't you think? I love all the gorgeousness the girls have made! I did not grow up celebrating Christmas. You see, I was born in the USSR. After the Revolution Christmas was scrapped. Celebrating the birth of Christ was not encouraged in the Atheist state. There was no more Christmas trees either. Traditions that made Christmas special for centuries we no longer observed. This meant that New Year's Eve became the main celebration. A few years later Christmas trees returned, but they became known as New Year Trees. An angel was replaced with a star. Not the star that lead the wise men to Mary, Joseph and baby Jesus that we read about in the Bible, but the star you can see on the Kremlin towers. 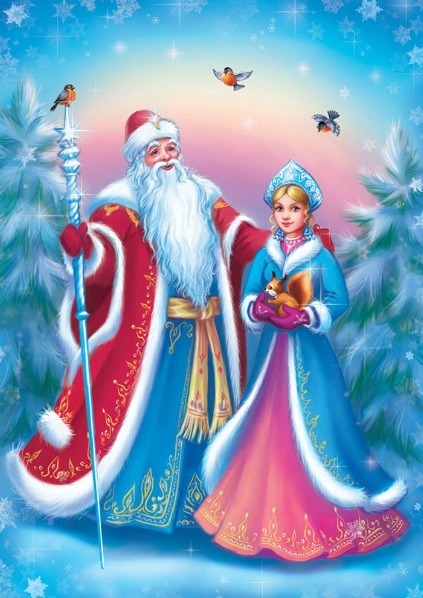 Ded Moroz (Grandfather Frost) and his granddaughter Snegurochka (the Snow Maiden) bring presents to the children. People gather with their families and friends, enjoy delicious meals and exchange presents on New Year's Eve. And of course everyone loves the fireworks. I loved New Year's Eve as a child. There was always something very magical about it. I remember when I was little and my brother even littler our parents hired actors dressed up as Ded Moroz and Snegurochka. They came to our flat, and my brother and I had to do cute little things like perform a dance or recite a poem in exchange for our presents. One of the gifts from Ded Moroz that year was a pyrograthy set. We spent hours turning pieces of wood into pieces of art. Mum says she still has this set! I remember that I was very worried that Ded Moroz and Snegurochka might melt in the car after they left us. Christmas is now celebrated in Russia again. Russia is an Orthodox country, so Christmas falls on the 7th of January. It is mostly a religious celebration. So, I was born in the USSR, grew up in Russia, and I now live in Australia with my husband and our little girl. Christmas in Australia is celebrated on the 25th of December, and it is summer. We usually spend Christmas day with my husband's family in sunny Mildura, which is about 4 hours drive from us. We get together with the rest of the family and at first it gets a little crazy while we exchange gifts, but it sure is good crazy. We eat a beautiful hot lunch (as you do on a 40-something degree day) and just enjoy each other's company. It truly is a relaxing time with the loved ones. It is also a good opportunity to reflect on what I believe occurred many centuries ago - the birth of Jesus Christ. As a token my husband and I give each other one small silly present on New Year's Eve. Of course Little Monkey gets something, too! My mum is coming over for a visit just before Christmas this year, which will make this special time of year even more special! A special occasion calls for a special outfit. I have been wondering what I could make for Little Monkey this year, and then I got an e-mail from Suz inviting me to be a part of this series. Perfect! I usually make practical things for my daughter, something she can wear anywhere any day. However this year I wanted to step out of my 'practical sewing' box and make her a party dress... but Little Monkey had other ideas. She wanted a dinosaur dress. You see, a few weeks ago we went fabric shopping together and she spotted fabric with dinosaurs printed on it. She grabbed the roll declaring it was her 'dinosaur dress', she carried it around the shop. The fabric was so cute I bought a metre of it. When we were at the cutting counter Little Monkey told the shop assistant the fabric was hers. She asked me to put it in her wardrobe when we got home. As soon as my husband returned from work she showed him the fabric. Every day after that she asked for her special dinosaur dress. I could not disappoint my sweet little girl, so While she was sleeping, I made Little Monkey a tunic out of her special dinosaur fabric. I didn't think a white dress would be practical (see I slipped right back into my 'practical sewing' box). It took me just about forever to find a pattern that would allow to showcase this fabulous print. In the end I settled on New Look 6016. It is a cute pattern with lovely rounded yoke with button closures and pleats on the front and the back. This tunic is perfect for hot summer days. When it gets cooler Little Monkey can layer it with a short or long sleeve tee. I made it extra long so the tunic can grow with Little Monkey for quite a while. The yoke and the buttons make this tunic look so Christmassy! This was completely unintentional. Little Monkey and I are a little obsessed with buttons, so we both appreciate these bright red buttons on bright green yoke. Yum! I also made a pair of shorts for Little Monkey to go with her new tunic. I used the same pattern as for the shorts I made for November's Secret Squirrel sewing challenge. I love the shape of the shorts. I just want to blow a raspberry on that tummy! Little Monkey was excited about the buttons on her new shorts. I love it how lining can be seen when Little Monkey is monkeying around. Such a fun little detail. OK, maybe this is not the party outfit I was going to make, but I am so glad I followed my daughter's lead and made her a 'dinosaur dress' and tulip shorts. She has already worn this outfit a number of times, and we received a lot of compliments. Besides, this outfit is heaps more suitable for what little people do best - monkeying around! Thank you for having me over Suz. 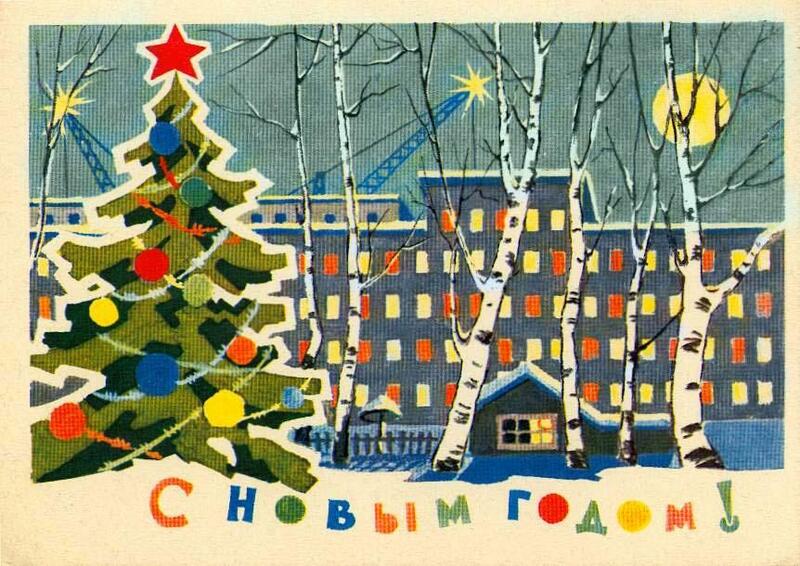 Merry Christmas and Happy New Year everyone or as I like to say "С Рождеством и Новым годом"! That's adorable I love seeing little girls in colours other than pink! hello. Just popped in to say hello. Love the top but seriously love the shorts. Thanks heaps :) Are you back from holidays? I LOVE that tunic! It is beautiful and looks gorgeous on your little beauty. Glad to have found your blog. Hi Jenya, now I found out who gave me such nice credits in the Compagnie-M contest! succes to you too! So funny to see that you're making summer dresses, while we are into the winter stuff! in Dutch, but pictures often say more than words... don't they? thank you for popping over :) Yes I think mine were the only summer things on the contest blog for a while! There is another short sleeved Louisa dress there. When it is winter here I get sooo jealous looking at all the gorgeous summer outfits my fellow sewaholics from Northern hemisphere are making!